Don't simply spend your holidays in Corsica lazing on the sand and soaking up the sunshine, the island has a great range of diverse activities and attractions for you to discover. 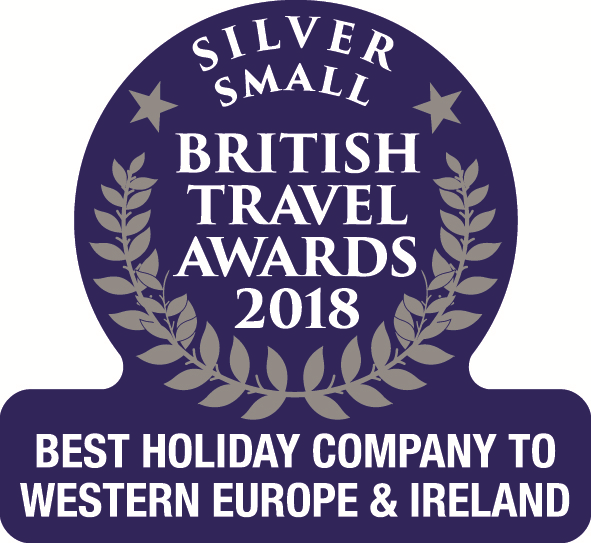 With almost 200 beaches and over 1,000 kilometres of coastline, it is easy pickings for those heading on holiday to Corsica in search of their perfect beach setting. 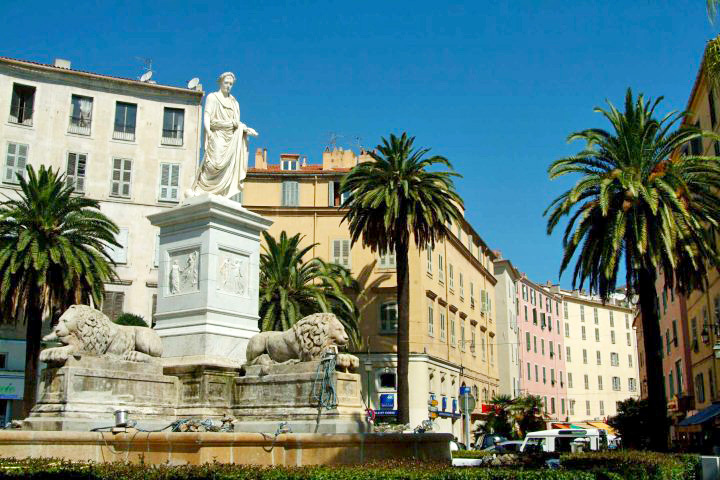 The island’s capital is a beautiful city, featuring wonderful architectural styles while also offering an entrance to some of Corsica’s most impressive coastal locations. Many would be unaware that Napoléon Bonaparte was born and raised in Ajaccio, and you can explore his legacy during your Corsica holiday by visiting the Maison Bonaparte, a museum set inside his family home. 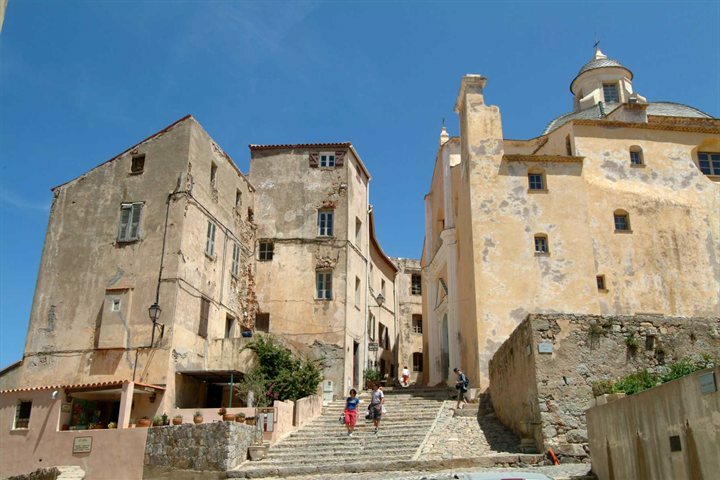 Calvi’s Citadel may not be bursting with sites, but in simply wandering around the cobbled streets and steep steps you will find yourself transported to a bygone era. It is easy to imagine the past hustle and bustle of the Citadel, that’s unless you are distracted by the incredible coastal views, something for which you can be forgiven. 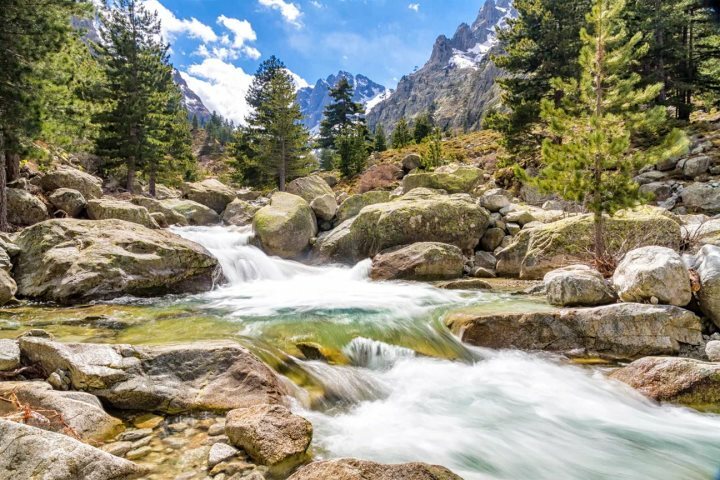 It’s worth packing your hiking boots for your holiday in Corsica, the island is home to some Europe’s finest and most rewarding walking trails, including the famous GR 20. The walk is considered the toughest long distance trail in Europe, traditionally taking 17 days to complete, all guided by excellent trails. Just experiencing a snippet of this mountainous walk will be memorable enough. 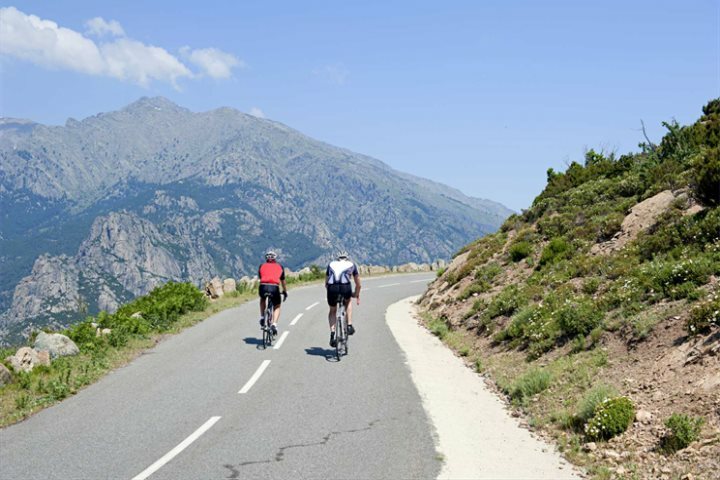 Swap your two feet for two wheels and explore Corsica’s mountains by bicycle. The island has some brilliant cycling routes, offering leg-burning climbs for those looking to get really active, or serene routes boasting incredible coastal vistas if you fancy something a little less strenuous. 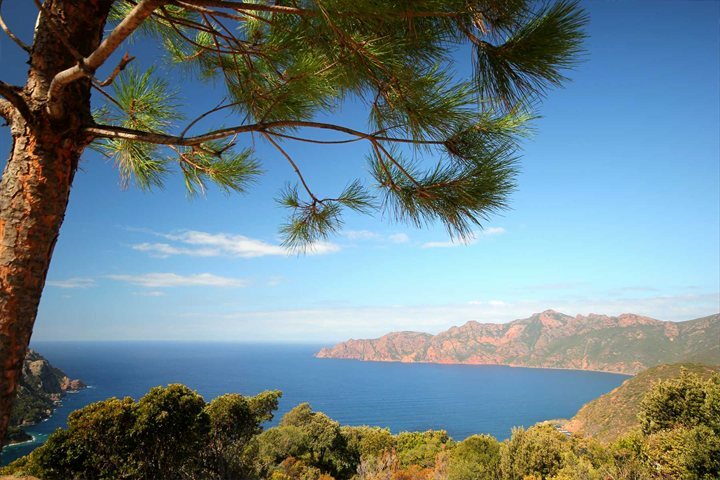 Scandola Nature Reserve is one of Corsica’s true beauty spots, populated by the island’s most famous landscapes consisting of sculpted red rock and gorgeous sweeping bays. Stay away from the beach though; it’s time to get out on the water! There are a number of boat trips allowing you to absorb the majesty of the natural landscapes. 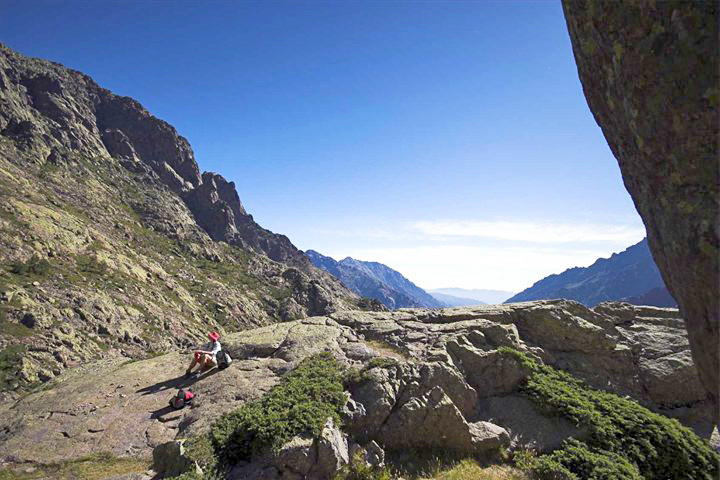 The interior of the region of Corte is home to Corsica’s most rugged landscapes, from dense pine forest to glacier-moulded gorges. The area has become something of an adventure playground for outdoor enthusiasts and is one of the best places to go rafting and canyoning in the Mediterranean. Escaping the hustle and bustle of vibrant Calvi, the charm, character and tradition of La Balagne’s picturesque perched villages are a welcome retreat. 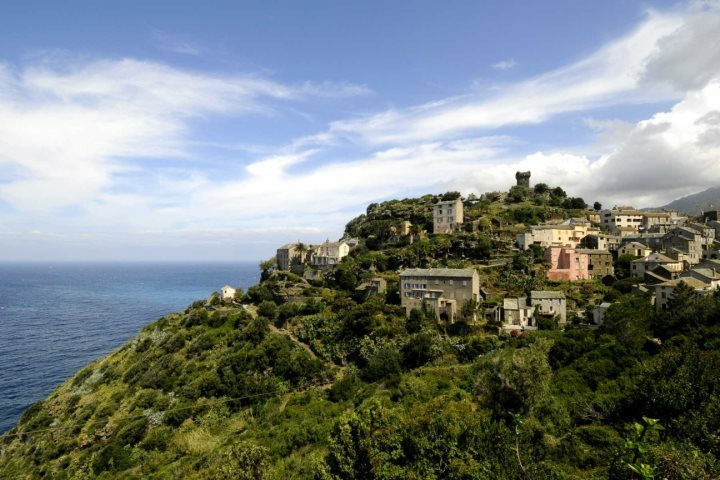 Perched atop the undulating hills, the panoramas on offer from the cobbled streets are breath-taking. Foodies will rejoice in the culinary offerings of Corsica, something that the locals take very seriously. 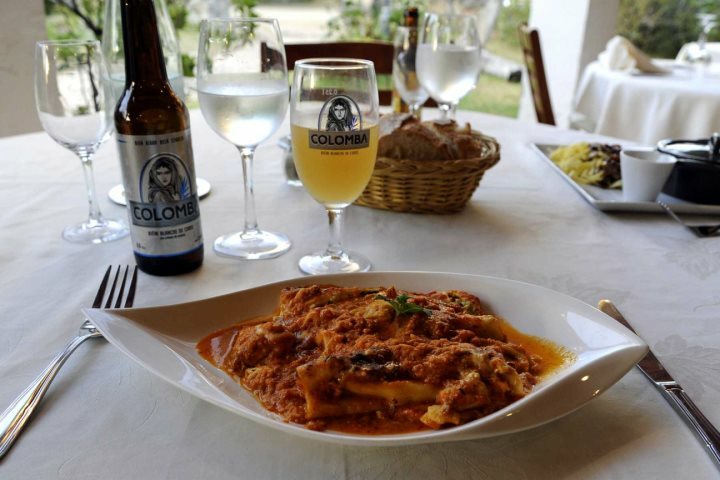 Three-course lunches and a few bottles of wine aren’t an unusual occurrence in the everyday life of the Corsicans, dining on wonderful fresh seafood, wild boar casseroles, succulent Corsican lamb and cannelloni au brocciu. 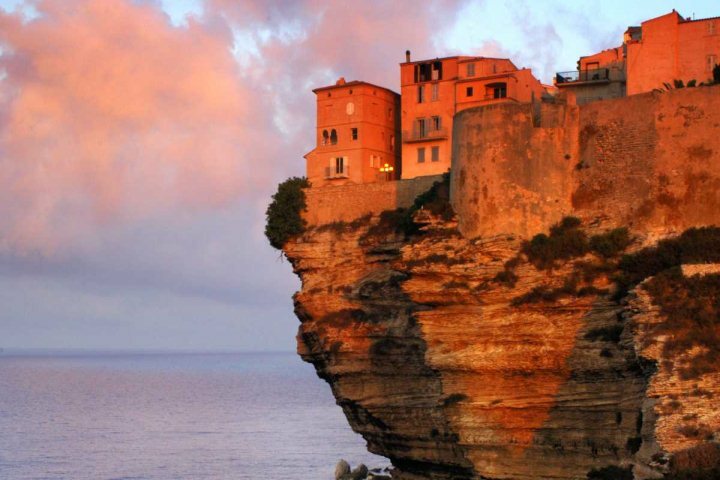 The fortress town of Bonifacio is without doubt one of the most eye-catching destinations to discover during holidays in Corsica. Established in 833, the town’s rich history is reflected in its old ramparts and monuments, rising from the jagged cliffs which tower over the clear, blue ocean. Yes, ok, an offshore island is going to boast idyllic beaches and coastal beauty, but that doesn’t mean you have to laze on the sand. The Lavezzi Islands, located off of the southern tip of Corsica, are a playground for underwater adventurers, home to some of the finest diving opportunities in the Mediterranean. 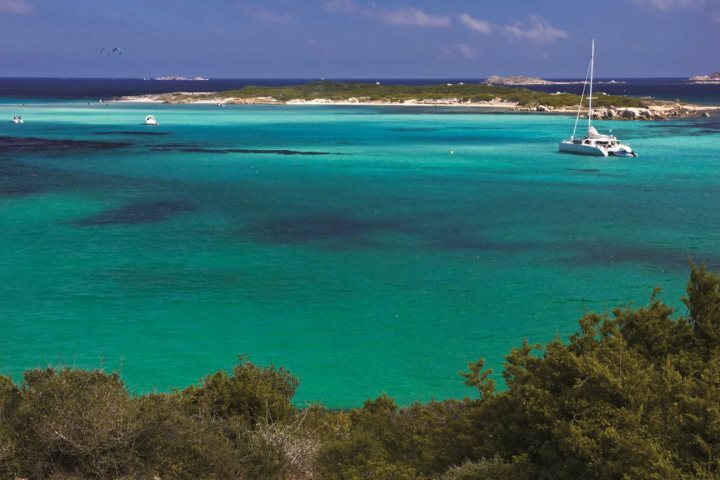 Want to learn more about the destinations and attractions of Corsica? Take a look at our guide to the island. Where to stay in Calvi?